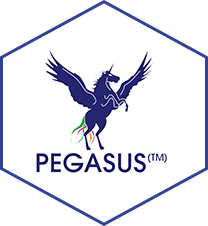 We are proud to present our GEN II Pegasus Anilox Transfer technology. As a global player in the manufacture and refurbishment of high quality rollers and sleeves we now offer our extensive customer base a bold revolution in High Definition Laser Engraving (HDLETM). P-Coat has been specifically designed for optimum energy transfer and precision particle velocity to produce a new generation in anilox coatings this ensures we can produce rapid, uniform and repeatable high quality ceramic coating. Ceramic Anilox Engravers remain the only African supplier to have a complete production facility (one-stop shop) and have complete process control over every aspect of the anilox production process – from start to finish – in accordance with our SABS ISO 9001 quality management system. Advanced PegasusTM cell geometry, ensuring advanced ink release. Advanced coating porosity (Less than 1% after 3D Laser engraving process). Higher resistance to scoring and surface damage over conventional anilox technology. Extended blade life due to advanced post-peak reduction. Easy to clean cell profile, helping printers reduce/eliminate cell clogging, contamination and machine downtime. Pegasus Plus Anilox Technology is available in Roller, Sleeve and Lightweight formats to suit all press specifications and tolerances. Advanced HD 60° cell configuration laser engraved using the latest high definition laser engraving technology (HDLETM) with the advanced features: MBA (Multi Beam Anilox), MAD (Micro Anilox Displacement) and custom cell profile generation. Advanced HD 30° cell configuration laser engraved using the very latest high definition laser engraving technology (HDLETM) using advanced features: MBA (Multi Beam Anilox) / MAD (Micro Anilox Displacement) (Custom cell profile generation). Download the CM3X and the CM3X(B) cell charts here. Click on the images to the right.